The only province without a trophy, Connacht truly believe this could be their year. As they head to France to face Grenoble in Saturday's European Challenge Cup quarter-finals (8pm ), all Irish eyes are focused on Pat Lam's blossoming side. The Connacht coach says while trophies do not define success, there is a "genuine" chance for this squad, several of whom will be leaving at the end of the season, to win silverware. "We set our goals at the start of the year. Champions Cup rugby is one of them, and the other one is the Challenge Cup and we want to win that one as well, " says Connacht coach Pat Lam ahead of Connacht's European quarter-final in France. "The carrot is a home semi-final here at the Sportsground which would be fantastic for our supporters, but our performance will determine that and it's on the line this week. Win and we get another game. "Having come so far, without a doubt we would like a trophy. I said before Leinster that we had six games left and the way we perform in them would determine two semi-finals and two finals. "We back ourselves, and if we don't perform in these six, and we miss out on these bonus games, as a team we will be disappointed. For this squad of guys because it won't be the same squad next year, this is their chance, particularly guys at the back end of their careers." 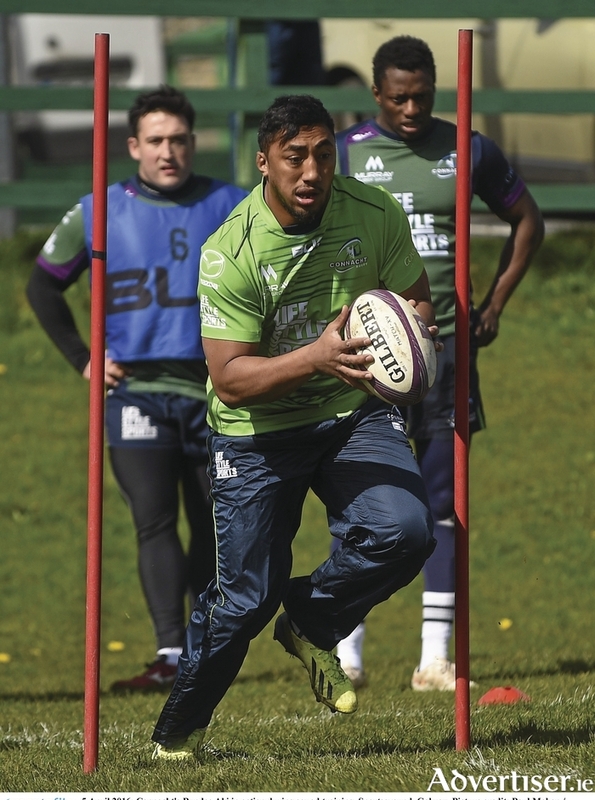 Connacht head to Grenoble with some improvements to their injury list. Scrumhalf Kieran Marmion has recovered fully from a quad strain, while Jake Heenan is available after an ankle injury. However there is no change in the availability of other key players, fullback Tiernan O'Halloran, outhalves Aj MacGinty and Jack Carty, centres Craig Ronaldson and Rory Parata, and prop Nathan White. And with Munster heading to the Sportsground next week, Lam is expected to make more changes for this European challenge. Marmion is likely to join Shane O'Leary in the halfbacks, while Robbie Henshaw and Bundee Aki are probable centre partners, offering greater experience outside O'Leary, in what would be his second Challenge Cup outing this season. Without Tiernan O'Halloran, Lam has the option of moving Matt Healy to fullback, with Danie Poolman taking over on the wing. And with Niyi Adeolokun having taken a knock and been replaced after 53 minutes last weekend, Lam may need to rest Conncht's fastest man or include him on the bench. In either case Fionn Carr is a possible addition to the squad, as could Conor McKeon if needed as outhalf cover. Up front Nathan White remains unavailable, which could see Ronan Loughney and Finlay Bealham anchor the scrum if Lam wants to rest last weekend's props, while others such as Jake Heenan, added recently to the European squad, James Connolly, Ultan Dillane and Quinn Roux could come into contention. Lam says Connacht are continuing to approach this knock-out fixture as any other this season. "We go back to one game at a time, and the process that has allowed us to focus on each game. This game is no different from playing Ulster last week, it's another chance, and opportunity to perform as a team. The season is coming to an end and we see every game as an opportunity to play together, and so we are all excited by this." The Connacht connection in Grenoble adds an extra dimension with both Bernard Jackman and Andrew Farley having played at the Sportsground - and both were involved in Connacht's victory over the French side to qualify for the semi-finals in 2005. "When we look at Grenoble, they are not the normal French team. They have Bernard Jackman as their head coach, and they like to move the ball, so it is going to be an exciting game, a pretty fast game I would say. "We enjoy travelling to France, but it's just another game to us, a chance to play someone different, and in a different competition. But looking at them playing, it's going to be cracker of a game and the forecast is looking good." "There are really good shapes in both teams, but it is going to come down to the players on the day executing the right decision and then executing the skill, and if you don't, and the other team gets a chance, they'll have a crack and you have to get the shape in defence real fast. So if the weather stays the way it is forecast, it will be a fantastic game." Grenoble currently in eighth place, two off the top six in the French championship, have won their last three games to put them in a strong position for the last five fixtures. "They know this is also their opportunity, particularly where they are compared to where we are, of getting Champions Cup because the winner of this gets automatic entry. So we knew they will go full strength, and we will go as strong as possible."